For two years now, Justin has been celebrating his birthday in school. He celebrated his 3rd and 4th birthdays with his classmates and teachers. Looking at these pictures really makes me nostalgic. My innocent-looking 3-year-old boy is now a young man. Oh, how time flies! 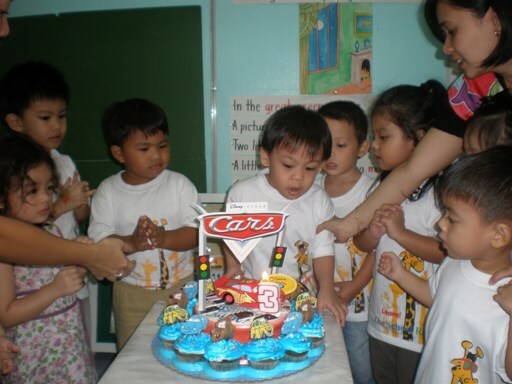 He’ll be celebrating his 5th birthday again in school this July, his last there because he’ll be entering big school next year. This entry was posted in Birthday Party, Mommy Moments. Bookmark the permalink. Ang bilis ng panahon ano ate.. Link up mo to sa nostalgia meme sa Nostalgic Marveling ate hehehe. If you have time, you can join us every thursday. Mommy Techa, is this at the Schoolroom? Looks like Teacher Kelvin. I enrolled my daughter there for the summer to see if she likes it. my son had his first school birthday party too last January. it was fun! the kids had a great time. visiting your MM entry! hope you can drop by mine too! getting bigger na. saya tlg pg sa school ang celebration. It’s really fun for the kids to celebrate in school and feel “bida” on their special day 🙂 Big boy na si Justin! I’m a new follower. It’s nice that kids get to celebrate their bdays at school nowadays, right? Happy MM! Please also check out my entry . Thanks! hi sis!! thanks for the visit! ang bilis lumaki ng mga bata, kung pwede lng sana they’ll stay na lang as babies..
same here mommy. i miss my daughters’ early years in life kaya i try to savor the moment with them. nice pics. the kids had a blast! looks like its fun…beautiful cake! 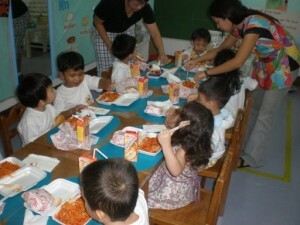 hmm…nung nasa pinas pa kami, cj’s always have party din sa school, well, even on his last birthday dito! great pictures with great memories! happy weekend! happy kid 🙂 loved his car cake My Mommy Moments Hope you can visit mine too. time flies talaga..Cute little boy..
i know what you mean Tetcha, ang bilis ng panahon noh…? si jake ko rin mag 7 na sa July eh :-)! Napakabilis talaga ng panahon. May munting binata ka na. yes, time indeed flies! I like celebrating birthdays at school. It’s less stressful that a having a part and the kids all have great time in their own comfort zone. Good luck on the big school! Let me edit that, ahahaha. My five year is wrestling with me on the mouse. –yes, time indeed flies! I like celebrating birthdays at school. It’s less stressful than having a party elsewhere and the kids all have great time in their own comfort zone. Good luck on the big school! Ayan, better. Happy week ahead, Tetcha! 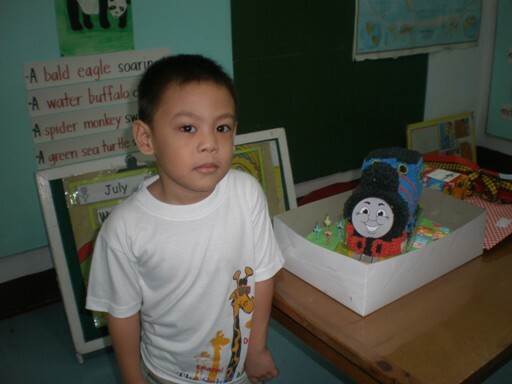 Same age pala sila ni Joaqui, but Joaqui will be turning 5 sa December pa. Me too, I get nostalgic every time I look at his previous birthday photos. Thank you for the MM visit! this is such a nostalgic theme din no? 🙂 happy mommy moments! oh my! 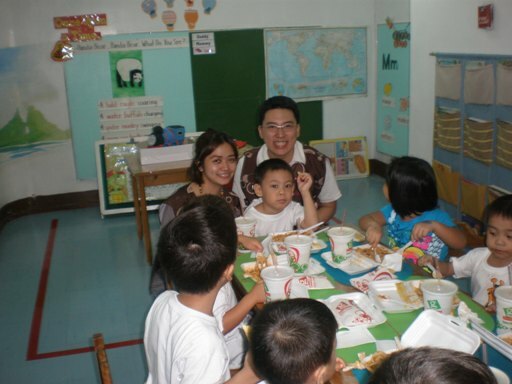 ang saya-saya naman nang celebration…with treats pa! your little prince really enjoyed celebrating his birthday with his classmates!! Advance happy birthday to your son…I bet you are one proud Mama.